By Josh Mathews and Derek Hiebert. Reprinted from the Oikonomia Network. The geographical and cultural context of the West coast offers some distinct opportunities for biblical and theological education. At Western Seminary, with our main campus in Portland and other locations up and down the West coast, we seek to live out our mission of gospel-centered transformation within this environment. As a longtime Oikonomia Network partner school, we aspire to cultivate a culture of ministry for the common good, and we seek to do so in a way that matches the cities and regions in which we reside. Our students are trained to preach and minister in local churches, and they are challenged to thrive in contexts outside of church ministry as well: stewarding God’s creation, loving their neighbors through their work and leading others in contributing to a flourishing society. We engage this full-orbed mission of discipleship from a variety of angles and through different strategies. We have addressed this at the curricular level, seeking to enhance our engagement with work and the economy in the seminary classroom. We have dedicated portions of faculty meetings to helping professors make course additions and adjustments in order to reflect more robustly the variety of “ministry” roles our students will fill upon graduation. Recently, Western faculty also participated in curricular development workshops in partnership with the Theology of Work Project. We have pursued other avenues beyond curricular integration as well. For instance, the past two years we have partnered with a local non-profit record label called Humble Beast to put on a conference on called Canvas. Artists and speakers gather to share insights from their experiences and expertise in the intersection of creativity and Christian theology. Western students are encouraged to attend and have the option of taking a for-credit course in conjunction with the conference. We have several current and former students who participate actively in Portland culture as artists, makers and businessmen and women. There are musicians performing in local concert venues; craftsmen woodworking in the high-end, handcrafted furniture business; and executives in the auto manufacturing and farm equipment industries. Many of our students are preparing to be pastors, counsellors, missionaries or chaplains. Many others are preparing to make productive and creative contributions to society. We see both kinds of preparation as valuable ministry endeavors. There are numerous ways to serve the church, love our neighbors and bear witness to the good news of Christ and his kingdom. We are always looking for new, creative ways to infuse these values into our water system among our students, faculty and other constituents. Since the advent of Starbucks in 1971, Seattle has been widely recognized as a coffee mecca. With over 1,600 coffee shops, Seattle is one of the top cities in America for coffee enthusiasts. The Seattle Teaching Site of Western Seminary has been engaging this context with a relevant recruiting concept: Coffee Tastings. Think wine tasting, but with coffee, exquisite food-pairings and a party atmosphere. All things created by God for the good of humanity. Having worked as a barista in the past, I decided to launch Coffee Tastings as a way for prospective students, current students and anyone interested in theology to come and enjoy great coffee, delicious hors d’oeuvres and a unique taste of what theology looks like in an academic environment. About a year ago, I had lunch with one of our students who takes classes at the Seattle site, just to connect and hear how his training was going. Over the course of the conversation, the topic of common grace came up, particularly the attention to concepts of common grace currently expressed through the faith and work movement. I articulated how God has chosen to work in and through us in whatever vocation we are for the sake of the common good of society – a way of ministering in the culture for the purposes of God. At the time, the student was working full-time in the coffee industry and had yet to learn about the theology of common grace and its many expressions through vocation. Suffice to say, he came away from the conversation galvanized with a fresh vision for how God could work through him and his passion for coffee. This conversation proved to be a productive seedbed, as it led to the student and myself teaming up to host Coffee Tastings. Since then the concept has worked exceptionally well. Within our regional context immersed in coffee, it has not only been a successful strategy for recruiting students and bringing awareness to Western’s presence in the area, but it has also provided a platform to celebrate this student’s passion and skill for craft coffee and to recognize the value of the coffee industry more broadly. Building off the success of the first Coffee Tasting, the student has put his heart into every roast and pairing. In keeping with the flair of the region, he uses only local roasters for the coffee samples. He then prepares food pairings that can only be described as mind-blowing. At our most recent event, he worked with a local chef to prepare three distinct tastings, starting with a light roast paired with a blueberry tart dessert. Then came a light-medium espresso roast, consisting of milk chocolate, hazelnut, strawberry and citrus notes, paired with strawberries stuffed with espresso and chocolate mascarpone – the climactic moment of the tasting. Finally, he offered a rich dark roast coffee paired with an espresso-marinated beef with espresso maple glaze. As a result of these experiences with the Coffee Tastings, this student is considering ways to offer his services in new environments, and the opportunities are great in a city like Seattle. Through these events, our other students, and other members of the community, have also been exposed to the value of vocation and to the multifaceted manifestations of loving God and neighbor. This is one of many ways Western Seminary is seeking to represent Christ and his kingdom within our West coast context. 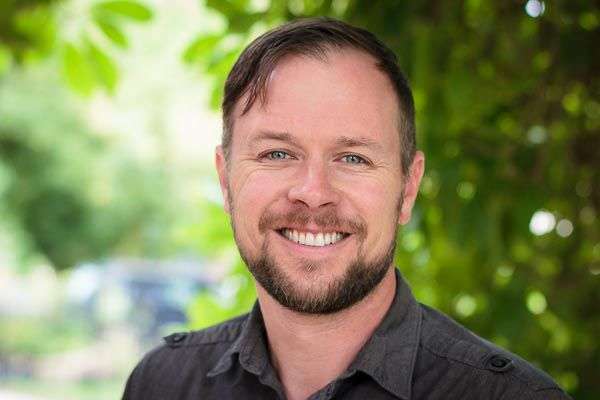 Josh Mathews is Assistant Professor of Biblical Studies at Western Seminary. Derek Hiebert is a Western alumnus and Director of the Seattle Teaching Site of Western.